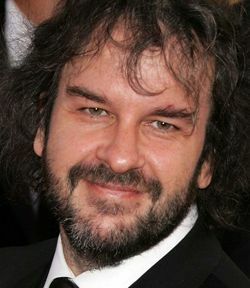 Peter Jackson: why I'm shooting The Hobbit at 48fps | What Hi-Fi? Lord of the Rings producer is shooting his next film at 48fps, twice the normal rate, making it "easier to watch in 3D"
Peter Jackson, producer of The Lord of the Rings trilogy, has confirmed he is shooting The Hobbit at 48fps (frames per second). Writing on his Facebook page, Jackson says the process "requires both shooting and projecting at 48fps, rather than the usual 24fps". The result, he says, is "hugely enhanced clarity and smoothness". "Looking at 24 frames every second may seem OK – we've all seen thousands of films like this over the last 90 years – but there is often quite a lot of blur in each frame during fast movements, and if the camera is moving around quickly, the image can judder or strobe," says Jackson. He goes on to explain that film shot at 48 fps is much easier to watch, especially in 3D. "We've been watching Hobbit tests and dailies at 48fps now for several months, and we often sit through two-hours worth of footage without getting any eye strain from the 3D." Jackson hopes that by the time of the films release in December 2012 there should be 10,000 digital cinemas worldwide capable of screening The Hobbit at 48fps. You can read more on Jackson's fascinating thoughts about filming at 48fps on his Facebook page.